A century ago, the golden age of golf course architecture was just taking hold in the United States, as some of the game’s greatest designers were building masterpieces on both sides of the country. There was Charles Blair Macdonald creating the National Golf Links of America in Southampton, New York, and Dr. Alister MacKenzie fashioning the scenic track at the Cypress Point Club on the Monterey Peninsula in California. The Pebble Beach Golf Links had opened in that area a few years earlier, and the period also saw the founding of what are still regarded as the finest layouts in the New World, among them the Pine Valley, Merion and Seminole golf clubs (in New Jersey, Pennsylvania and Florida, respectively). 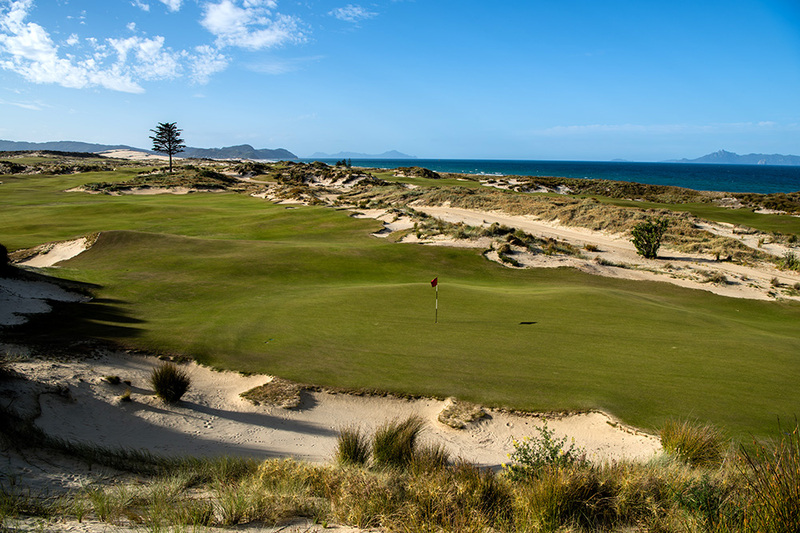 Tom Doak crafted this splendid seaside links among the giant sand dunes that rise along the Pacific coast some 65 miles north of Auckland, the nation’s largest city. The course is part of a club that only opened in the fall of 2016. Though ultra-private and priced only for those who are not troubled by six-figure membership dues, it generously allows one-time visits to select visitors who may play multiple rounds provided they stay on the grounds in one of the very well-appointed member cottages or ocean suites. And it is Old World golf at its finest, with ample fescue fairways that are firm and fast and greens that are very accepting of run-up shots. The first few holes are quite appealing, with Doak cutting a small pot bunker in the putting surface of No. 2 and then crafting one of the most unusual — and exhilarating — Punch Bowl greens I have ever seen on the 3rd, positioning it downhill and to the left. The round only gets better from there, and I came away from Tara Iti convinced that it is likely the best work the extraordinarily talented Doak has ever done — and that its addition to New Zealand’s golf portfolio has taken that country to the next level when it comes to great golf destinations. I was also delighted to learn that there is talk of constructing a second course — and of opening that one to the public. Sand-based soil has a way of making course architects swoon, for the good golf grasses (fescue and bent) they can grow on top of it and for how well it drains once that turf has been established. 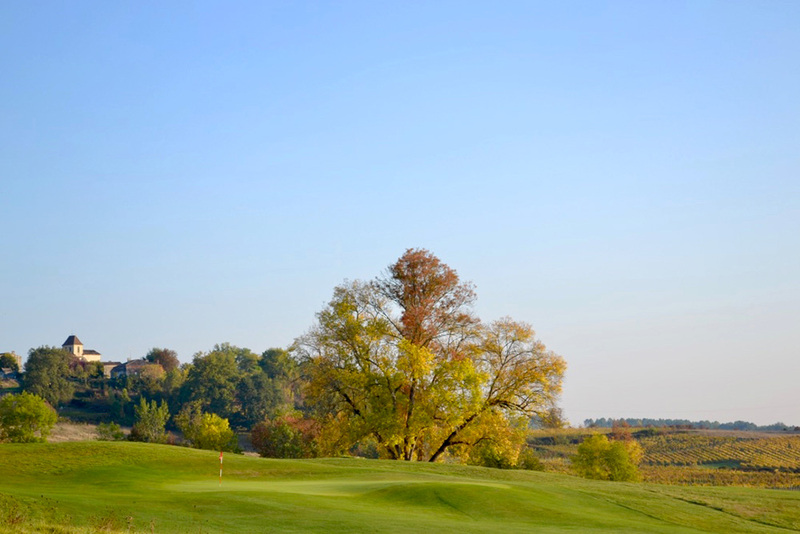 That is why two-time Masters champion Ben Crenshaw was so excited when golf impresario Mike Keiser approached him about building the first of what he hopes to be several courses on some 1,700 acres in central Wisconsin. The land had been part of a prehistoric glacial lake, and it not only boasted massive dunes in places but also sand that was as deep as 250 feet. “It was spectacularly good property,” says Crenshaw, one of the most highly regarded designers of his time. And he and his longtime partner Bill Coore created something quite spectacular there. 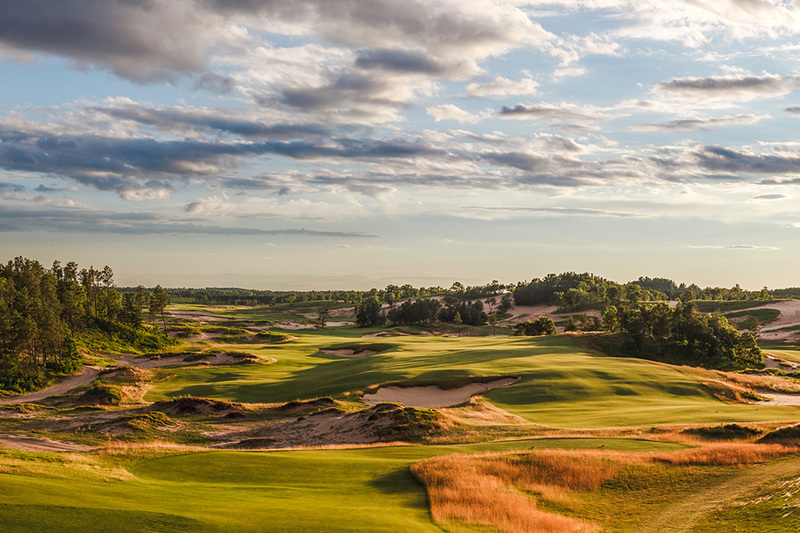 Dubbed Sand Valley, it officially opened last May and features impossibly spacious fairways; big blowout bunkers; and holes of varying lengths and angles. I feel it already deserves to be ranked among the best modern courses in the world, and so does the second course at Sand Valley, a David McLay Kidd design called Mammoth Dunes, that started allowing preview play this past fall. Taken together, these two tracks have already made Sand Valley a must-visit, and there appears to be more to come, as Keiser says he has room for three other courses on the property and has several potential architects putting together prospective designs for them. While wine will always be what draws me to Bordeaux, I am developing an affection for the good golf that is taking hold as well, and no course there excites me more than the one Doak has crafted at this club. The property reflects the overall feel of the Right Bank of this region, with more rugged, rolling ground than one typically finds on the Left. And the architect used that terrain to endow this track, which opened in 2015, with character and verve. The holes at Grand Saint-Emilionnais require one to hit both fades and draws on tee shots, and wedges as well as long irons and hybrids into the greens that my French-playing partner describes as “animated.” Those greens will occasionally try a golfer, and so will the aiguilles, or “little rivers,” that wind through the course and come into play on nine of the holes. But the overall design is a charmer, and so is the club, which is located just a short drive away from the village of Saint-Emilion and its Merlot-rich vineyards. I was also enchanted with the owners, Gaetan and Cécilia Mourgue d’Algue, who with their son, Andre, and daughter, Kristel, have amassed more than 75 national golf titles in France. They know the game and just what it takes to make it enjoyable for players of all ages and abilities. 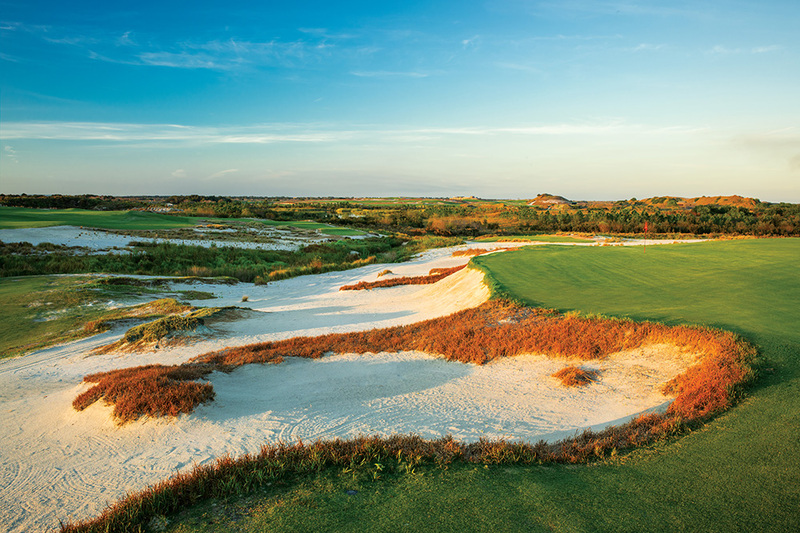 While American golf architect Gil Hanse received much deserved plaudits for the track he designed for the Rio de Janeiro Olympics in 2016, he is garnering even greater praise for his latest effort, the just-opened Black Course at the Streamsong Resort in central Florida. The layout is already quite busy with play and will likely stay that way, due to its deft design and the way it complements the other two links-style tracks at that retreat, the Red (laid out by Coore and Crenshaw) and the Blue (which was built by Doak). Designed in the sort of minimalist style for which Hanse has become known, the Black is a par-73 track with five par-5s, lots of elevation changes, gaping bunkers and greens that in some cases undulate wildly. In addition, Hanse has constructed a free-flowing practice facility called The Roundabout, which features several green complexes and practice holes, and a two-acre putting green called The Gauntlet. These are good places to hone one’s game, and also the sort of spots where players can retire after their rounds for competitions of their own makings, with drinks and cigars in hand. Scotsman David McLay Kidd had something of an epiphany several years ago, wondering why he had strayed from creating challenging yet enjoyable designs, first at Bandon Dunes in southwest Oregon when he was a wee lad of 26, and begun creating instead beasts that were hard to play for even the very best golfers. “I think I started chasing an illusion of what was right for golf and got caught up with developers who were worried about Tiger-proofing their courses even though Tiger Woods would never play them,” he says. “And they thought the best way to get media coverage was to make their places really difficult.” Kidd also admits to getting caught up in the course-ranking game and the belief in some cases that “resistance to par” was an important design criterion. So he began rethinking his approach and working to make his courses pleasurable to play once again. And there is no better example of his rehabilitation than Gamble Sands, which he laid out in the fruit orchard country of Eastern Washington in 2014. 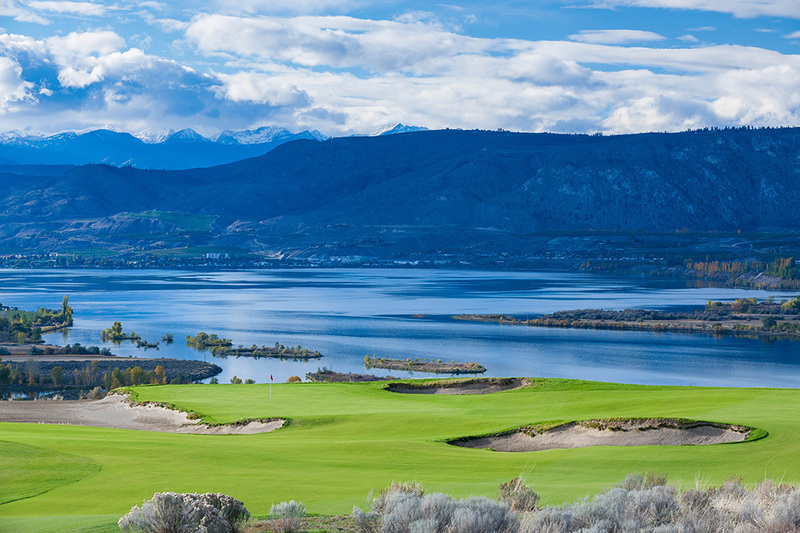 Kidd describes the course as a “high-desert links,” and it is routed on a sandy plateau overlooking the Columbia River and portions of the Northern Cascades. The fairways here are wide and welcoming, and the bunkers rugged yet reasonable. As for the massive greens, they have just the right of amount of spice. “I want people to have fun here,” Kidd says after a recent round, and fun is what you will have. 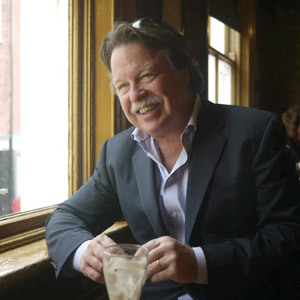 By John Steinbreder Hideaway Report Contributor John Steinbreder is a senior writer for Global Golf Post, a contributor to Masters.com and the author of 20 books, most of which are about the game of golf. Among his most recent is From Turnberry to Tasmania: Adventures of a Traveling Golfer.